"Though you do not see Him, you believe, and in believing there is unspeakable joy." This past week, Christians around the world remembered one of the great martyrs -- Polycarp of Smyrna (70–155 AD). He was one of the earliest leaders of the church, having been a disciple of the Apostle John (as in the writer of "the Gospel of John, 1,2,3 John and Revelation" -- that John). 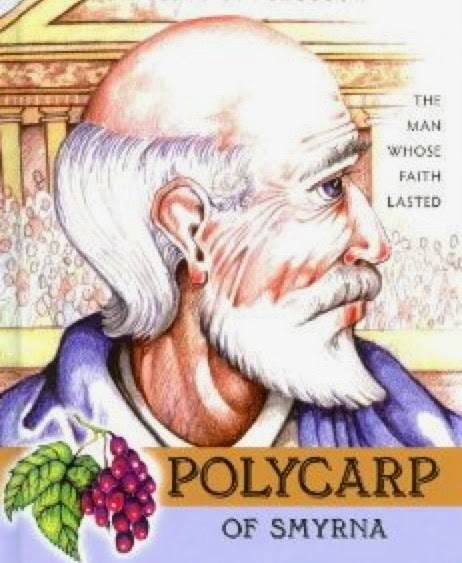 Polycarp is a celebrated figure in the history of Christianity. He is one of few men we have detailed accounts of that lived as connections to both the biblical apostles and the age of the early church fathers. 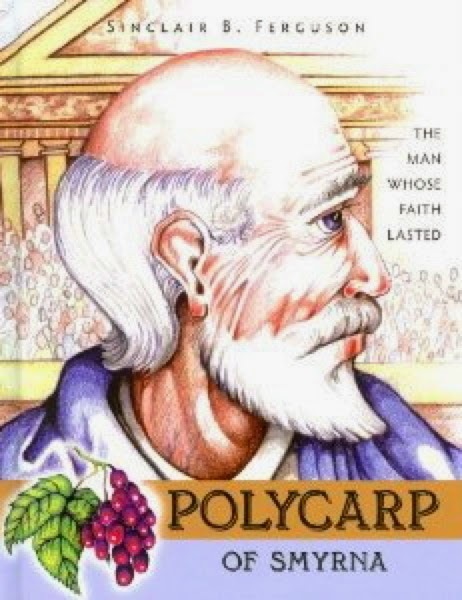 Several ancient sources document the contributions of Polycarp to Christianity, including his letters written to the church at Philippi, in which he encourages the members to remain strong in their faith and to flee from materialism. Do you hear the angst in his voice? This psalm was written by King David, probably while he was fleeing from Absalom, his son; certainly at the time he wrote it he was king (see verse 11), and hard pressed by those who sought his life. overwhelming need for more and more of God. Why do we not "earnestly seek", "thirst for", "faint for" as David and so many other biblical authors did? Is it because we are too easily satisfied? Maybe because we "feel good" too easily about our spiritual life. Maybe because we have no real needs, we have everything at our fingertips, we have... an app for that. This week can I challenge you to analyze yourself and find what it is that keeps you from expressing (really feeling and desiring) your love for Christ the way David longed for God. 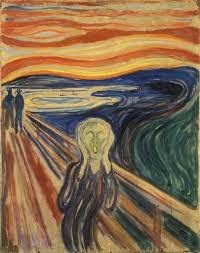 This week, join me in feeling the angst. My soul clings to you;your right hand upholds me. They set a precedent. The way you spend your first hour charts the course of the rest of your day. Your first thoughts are like a rudder for the course of your day. Start the day on your smartphone? You will likely be chained to it every spare second. Spend the first hour worrying about work or school? You'll find yourself preoccupied with those tasks until you go to bed for the night. Begin your morning seeking God? You'll find Him...and you'll see Him more in every single moment. Seek Jesus, and He will take you where He wants you to go. Let the words of this prayer act as a rudder, steering the direction of your day. "Where did all the time go?" Have you ever found yourself asking that question? It's always a question with at least a hint of regret. It's always accompanied with a wish that you had enjoyed the moments more fully. It's the one thing we can't get back once it's gone. Time is constantly moving, constantly going. Each moment is here briefly, and then is gone forever. Once a moment is gone, you can't get it back. And as many blessings as they give us, there's nothing in our lives that wastes our time more than our gadgets. How many hours have you wasted on your iPhone...on your Xbox...on Facebook...watching Netflix...playing games...browsing...doing everything you can to be distracted and not enjoy the present moment? I know I've done all those things. 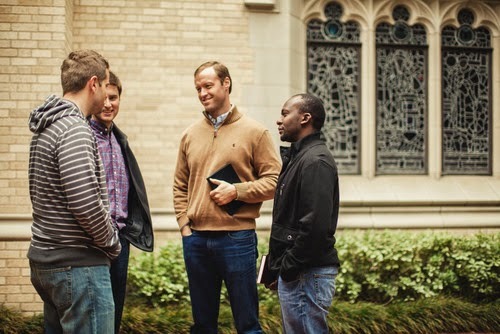 This week we are taking a break from our traditional Formation Friday posts that usually center around a great christian from history and quotes from him/her and instead want to touch on the idea of spiritual formation itself. 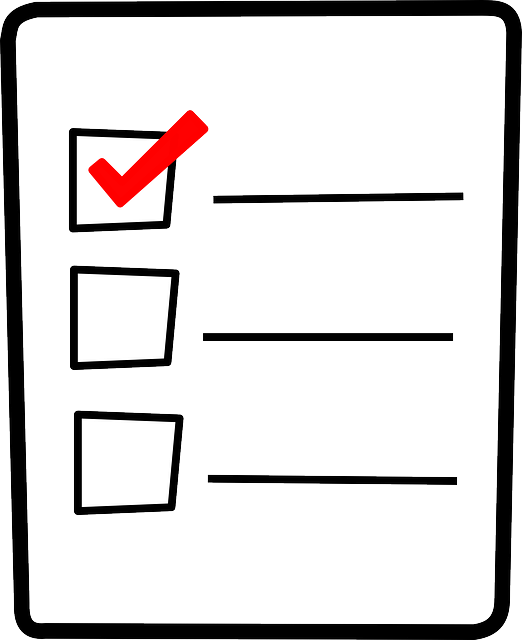 Spiritual Formation does not occur through a checklist. That is to say, we do not become conformed to Christ simply because we spend an extra 5 minutes reading the Bible every morning. We don't become more Christlike by fulfilling a check list of dos and don'ts. Shared the Jesus picture on facebook: Check! Had my quiet time: Check! Donated to the homeless guy on the street corner: Check! Put on Christian radio in the car: Check! Spiritual Formation does not occur in a vacuum of independence. It doesn't happen in a space we carve out once a week to put our church face on and perk up our ears to listen to the preacher. It just doesn't happen by anything we try to do. Especially anything we try to do half-heartedly. How did God change the course of human history? I like this question, because it makes me think. I like this question because it makes everyone think, from the elementary aged kid learning how to subtract to the Bible scholar and world renowned theologian. Was there ever a time that God was not changing the course of human history? God can change history through one person. God HAS changed history through just one person. Adam, Noah, Abraham, David, Esther, Mary, and anyone ever hear of… Jesus? All of these are good answers, all of these are answers deep enough to expound upon in books, many, many books if we wanted to write them. Is God changing the world through one group of terrorists/warriors/ Islamic militants ? Have you ever wrestled with your belonging? Perhaps I should rephrase... Do you ever wonder whether or not God accepts you? Have you ever felt like you don't belong in God's Kingdom, the church? The Apostle Paul spilt a great deal of ink talking about belonging and acceptance to the Ephesian church. Perhaps the most beautifully described at the very beginning of his letter, which is our text today. 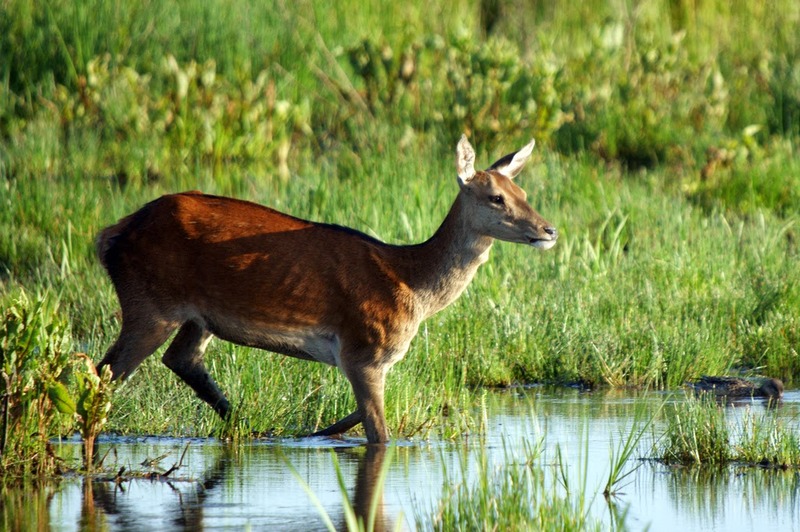 "As a deer pants for flowing streams, so pants my soul for you, O God. Bind me up with Your healing touch. Fill me up with Your Spirit. Satisfy me with Your living water. Let me feast on Your word. Make me live by Your breath of life. Eclipse my weakness with Your grace. Purify me by your purifying fire. I feel alone. I can't see you, I can't touch you. You seem so distant. Help me trust that you are here, and you are working in this. 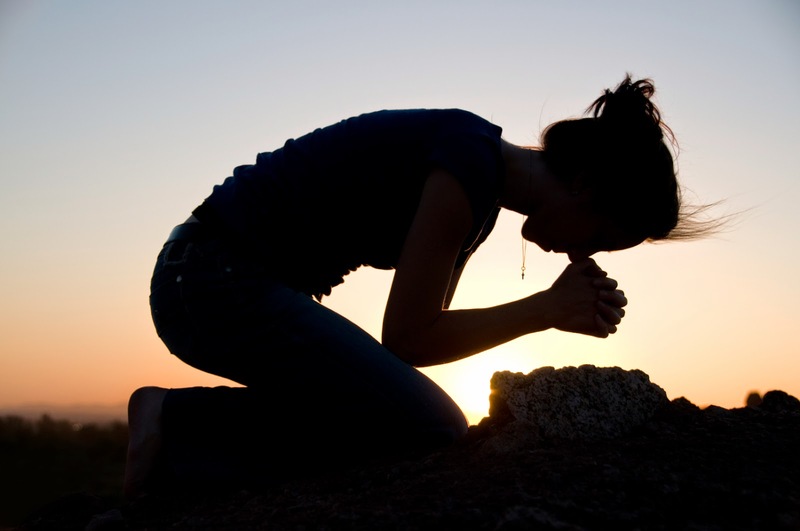 I need You, O God! More of You, less of me. ...was started by a group of people that are perhaps the most unlikely if you were to judge them from their appearance. These people were not clerics, priests, pastors, monks, or nuns. They were refugees, farmers, blacksmiths, tradesmen of all sorts; families who were looking for a bit of heaven to be found upon the earth. A grand ragtag group of Moravian refugees, fleeing from religious persecution from other Christians, came together and created a utopian society, but not like those portrayed in famous novels like Anthem or Brave New World, these men and women based everything they did, believed, and practiced in their prayer and worship of Jesus Christ. This group became known as the Herrnhut Moravians, later and presently known as the Moravian Church. You can have as much of God as you want. "At that moment the curtain in the sanctuary of the Temple was torn in two, from top to bottom" (Mtt 27:51 NLT). When Jesus delivered His spirit and breathed His last, He purchased for us access to the very presence of God. The curtain in the temple, separating the manifest presence of God from all mankind, was torn in two. The sin that isolated us and kept us hidden has been abolished, and God's presence is available to every man, woman, and child. Paul emphasized again and again throughout his letters and in his ministry that he suffered for the cause of Christ, and he suffered well. 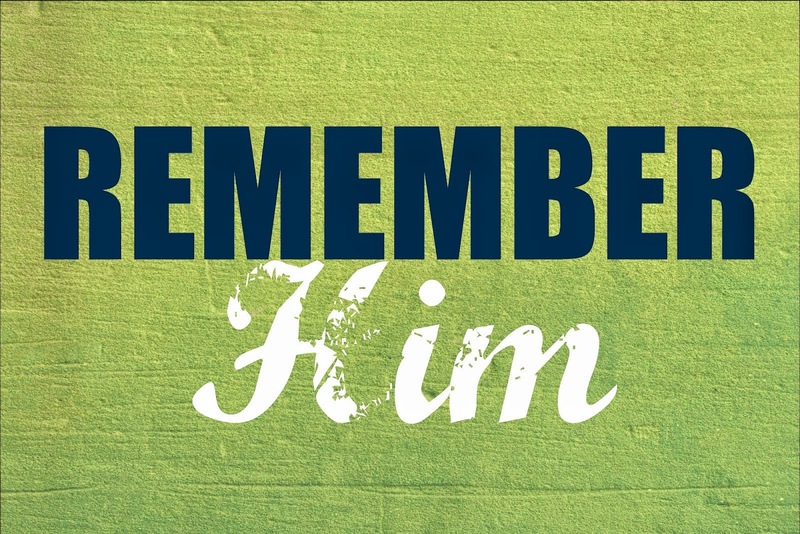 Paul pleads with Timothy to remember, the Greek word (μνημονεύε) has a deeper meaning: Paul not only wants him to remember, but to keep thinking about this, recalling it constantly, having a thirst to remember and respond, remember and be forced to mention. Many of the most damaged parent-child relationships are a result of the parent's absence or neglect. God didn't show us his love by simply not punishing us for sin. He displayed his love by sacrificing himself to give us life. Love is never indifferent. I desperately want to grow in this truth. Sure, I can't sacrifice myself or my time for every person in the world, my city, or even my neighborhood. I just don't have that capacity. But what about those I'm called to love? 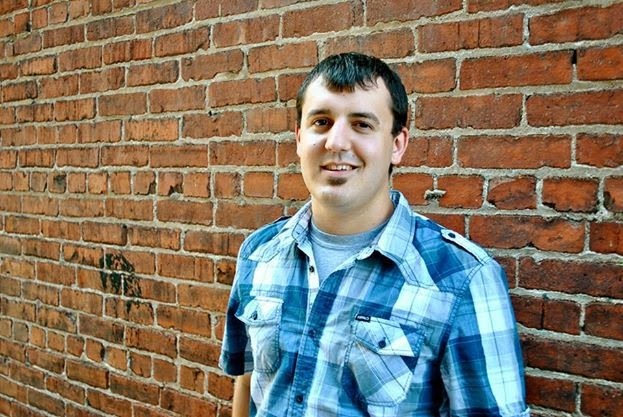 Am I living the sacrificial love that is never indifferent? Think through the people in your life. Family...friends...acquaintances...maybe even somebody you pass on the street but have never met. Who is in need of a love that is not indifferent? That is the make-up of the first 11 chapters of Paul’s letter to the Romans. And then, here in chapter 12, comes a shift. Paul moves to the practical. The “So, what! ?” of his letter. Some know her as a writer, the author of over 40 books. Others know her as a missionary to India, one of the most famous people influenced by the great Hudson Taylor. In her day, hundreds of orphans in India knew her as "Amma," their word for "Mother." Amy Carmichael was born on December 16, 1867 in County Down, Ireland. She was the oldest of seven children born to a miller named David and his wife Catherine, both devout Presbyterians. David moved the family to Belfast when Amy was sixteen, but it was not two years later that David fell sick and died. At 17 years old, young Amy Carmichael quickly learned the responsibility of providing for many. "Once back in Ireland, as Amy and her family were returning from church they chanced upon an old woman carrying a heavy bundle of rags. Amy and her brothers took the bundle and helped the old woman to her destination. To Amy, this act of sacrifice and kindness was "hated." As they turned and walked along, they passed by the other Churchgoers and worried what these "respectable people" would think. Before bringing the woman to her destination Amy and her brothers passed by an elaborate Victorian fountain. A voice impressed upon Amy's heart the words from 1 Corinthians 3:12-14: "Gold, silver, precious stones, wood, hay, stubble. 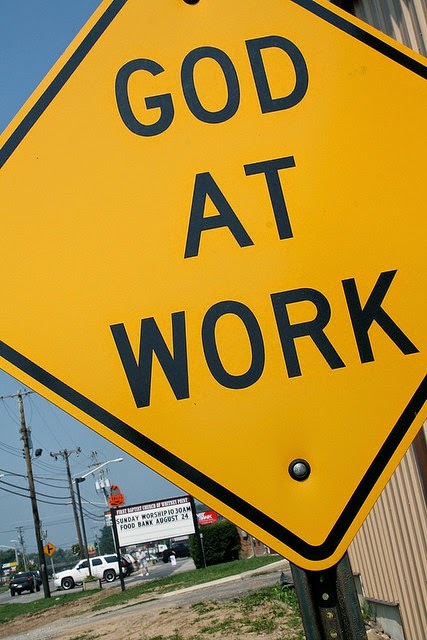 If any man's work abide...." That afternoon Amy sought God privately in her room anguishing over the idea of what would last in eternity from her own life. The lessons of obedience and sacrifice from that day would echo through the rest of her life." These two verses have always made me pause and think. Paul, what are you talking about!? Take your time with this. Play the video at the bottom of the page and let it focus your thoughts on the words of this Scripture and this prayer. Pray these words over your day, your week, your life. Have some more time? Pray it over your best friend, your family, even your "enemy." And then be still. Let the truth sink in. Let God speak back to you. I have no good apart from You.'" You alone sustain. You alone satisfy. Only You are worthy of Glory and Honor and Praise. I rest in You this day. I rest in Your steadfast love. I rest in Your completed work. I rest in Your lavish grace. I rest....trusting that You are in control right now. I rest....trusting that right now I am exactly where you want me to be. 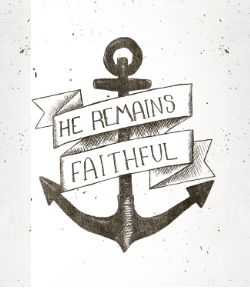 I rest, for I belong to You. You are the one that really matters. Be supreme in my heart, my mind, my life today. help me release to You whatever is most precious to me. be the one and only obsession of my life. Remove any obstacles, overcome any weaknesses that hinder your work in my life. I am Yours and Yours alone.